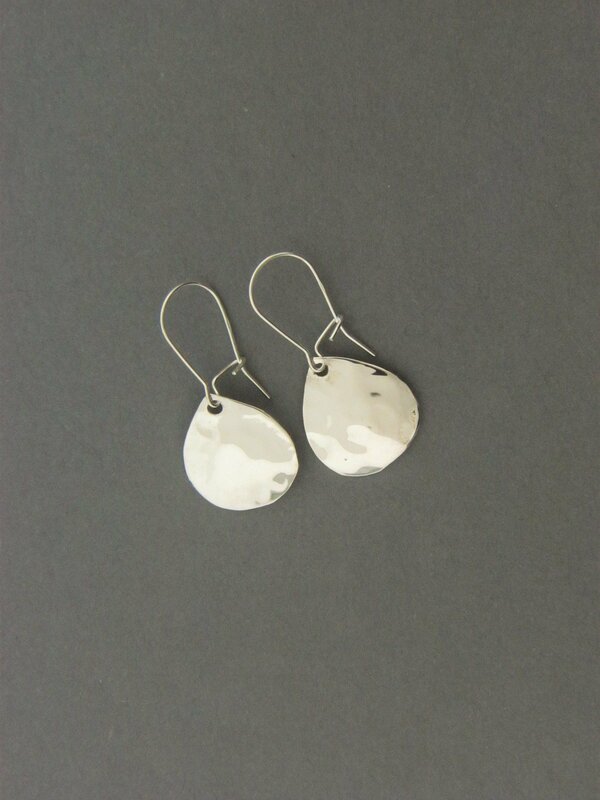 Handcrafted sterling silver .925 small tear shaped plate with a smooth finish. Ear wire is a kidney wire . Approximately a 1/2" long plate.